Please note that attachments will not be opened. 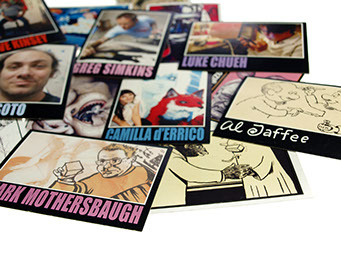 Established in 2010, The Art Hustle is a boutique trading card series featuring contemporary artists & art. 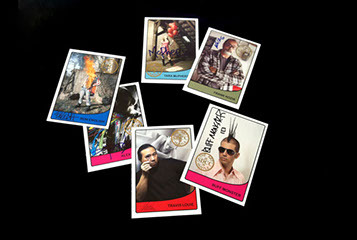 Uniquely presented on trading cards, this curated series is very much a collaborative effort with the participating artists. 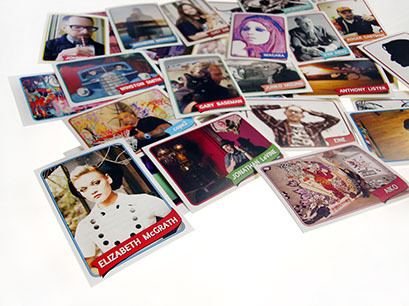 Included in the classic wax packs are Artist Profile Cards and Art Cards; all with interesting facts on the backs that you don’t want to miss. 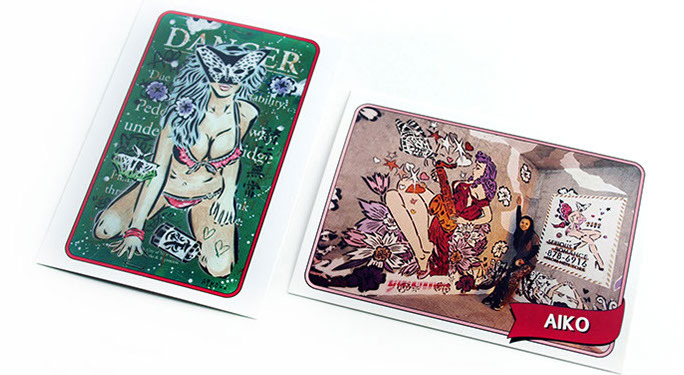 Artist-customized cards have been randomly inserted into packs, giving collectors the chance to pull an actual original piece of artwork. Signature Cards and exclusive special inserts have also been included; All contributing to a fun and dynamic collecting experience. 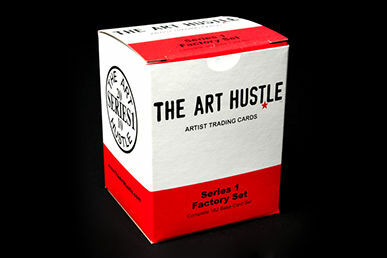 Boxes and individual wax packs of The Art Hustle are available through select shops, galleries and on-line retailers. 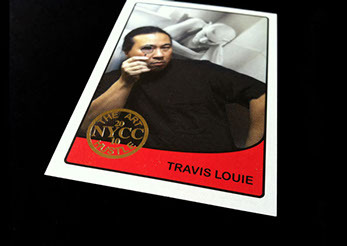 Each box of The Art Hustle is a numbered limited edition. There are 36 wax packs in each box. There is a complete base card set in each box. There are 15 box top variations for each series. 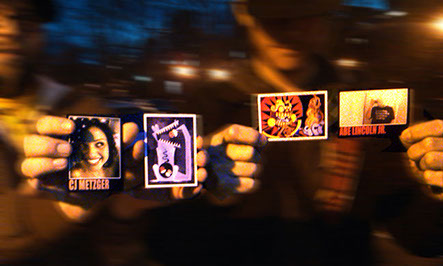 Special inserts vary based on series. There is a master checklist for each series that is accessible from each series' main page. 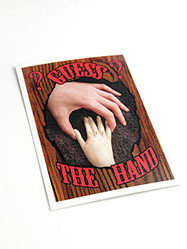 The Guess the Hand card is distributed into packs of The Art Hustle trading cards. 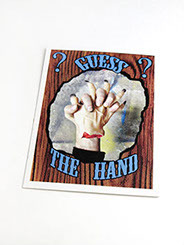 A new Guess the Hand card featuring a new mystery artist is issued for each series. 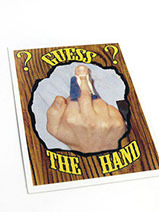 Anyone who pulls a Guess the Hand card has the opportunity to guess whose hand is featured on the card. 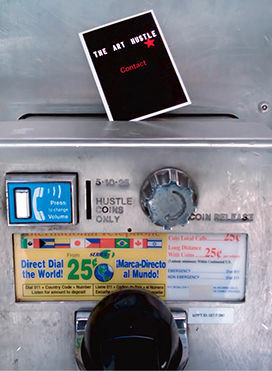 Correct guesses are entered into a special drawing for the chance to win an original piece of artwork by the mystery artist. 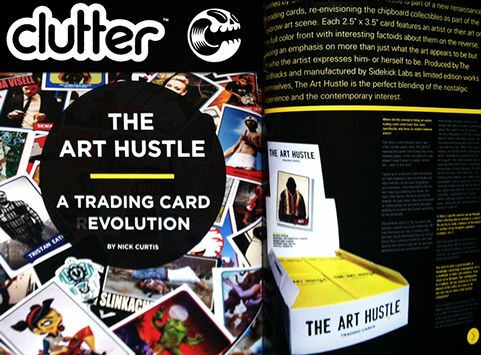 Clutter's Nick Curtis gets answers about concept, rare cards and more! closed. The deadline for guess submissions was 11:59 EST, December 31, 2013. If you are unable to view this video, here is an alternate video. 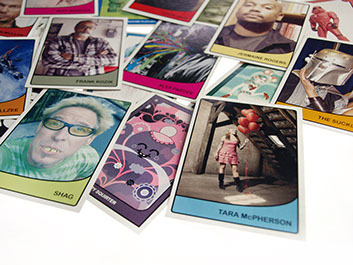 The Art Hustle is a boutique trading card series exhibiting contemporary artists and art. 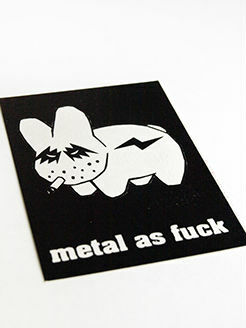 Some content may not be suitable for all audiences. of the artists/participants and may not be reproduced without their consent.